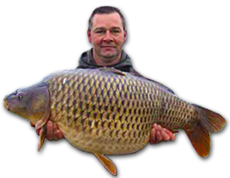 Places now available for the Carp and Coarse Syndicate 2019/20. 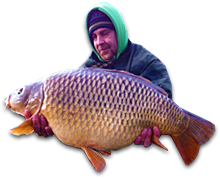 For Carp and Coarse Ticket information or information on becoming a member contact us or phone 07810 546776. Breaking News! Several large mirror carp have recently been stocked! Highbridge fisheries is a 6 acre lake in south Norfolk. The lake is a rough cut, clay irrigation reservoir with depths of up to 37ft. 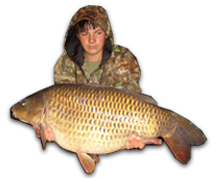 The lake is famous for its head of big common carp up to 40lbs+. Please note that initial viewing of the lake is strictly by appointment only. To book a viewing or for further information on becoming a member at Highbridge please contact us or phone James Brown on 07810 546776.